Taiwan’s Evergreen Marine has placed an order for four feeder container vessels at China’s Jiangnan Shipyard. 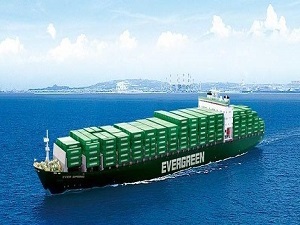 The new 2,500-teu feeder vessels are priced between $31m to $35m apiece, bringing Evergreen’s total investment to between $124m to $140m, Evergreen announced to the Taiwan Stock Exchange. The newbuildings are scheduled to be delivered in 22-24 months times. The order was made via the carrier’s wholly-owned Evergreen Marine (Hong Kong) Ltd.